Sarah Jessica Parker and Matthew Broderick bought another home on Long Island's East End -- expanding their oceanfront compound to three buildings. Their properties include two homes in Amagansett for $2million and $4.6 million. Another in 2008, cost $5.8 million. TV star Conan O'Brien has put his luxurious Manhattan penthouse apartment up for sale for $35m. He bought the property at $10m in 2007. Rumor has it that he is moving to the West for the revival of the Tonight Show with Fox. 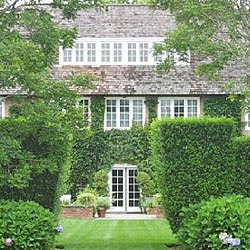 Madonna's move to the Hamptons for the summer requires a rented 30-acre horse farm which has manicured gardens, wisteria-clad arbors, a pool, a guest house, and private access to the ocean. Rent is billed at $425,000 for 5 months. Martha Stewart lives close to the property. Click "Read More" to know who made in our 'Thumbs Down' list. Still in L.A. Scarlett Johansson is selling her crib for $4,995,000 which she acquired for $5,100,000. It is 4,352 square feet with 4 bedrooms and 5 bathrooms.